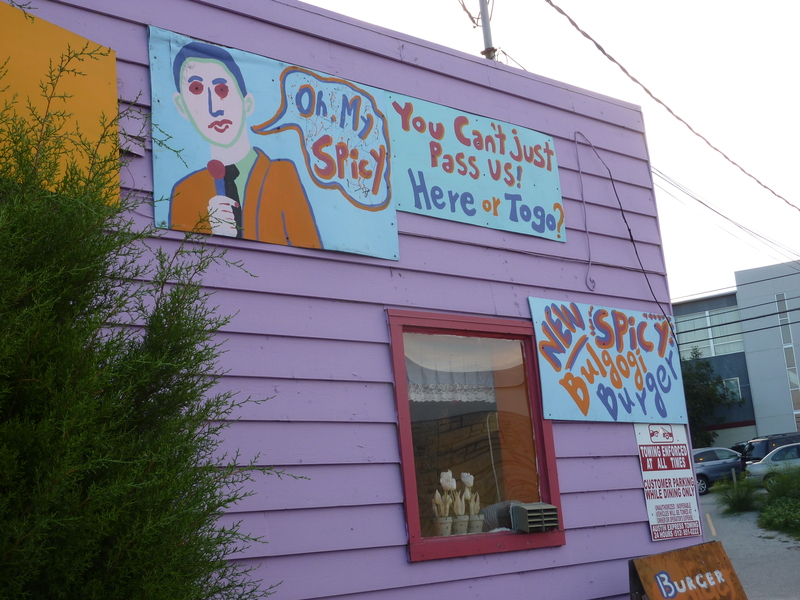 When I was trying to find Sno Beach, I looked at a lot of restaurants along the way for future blog posts. 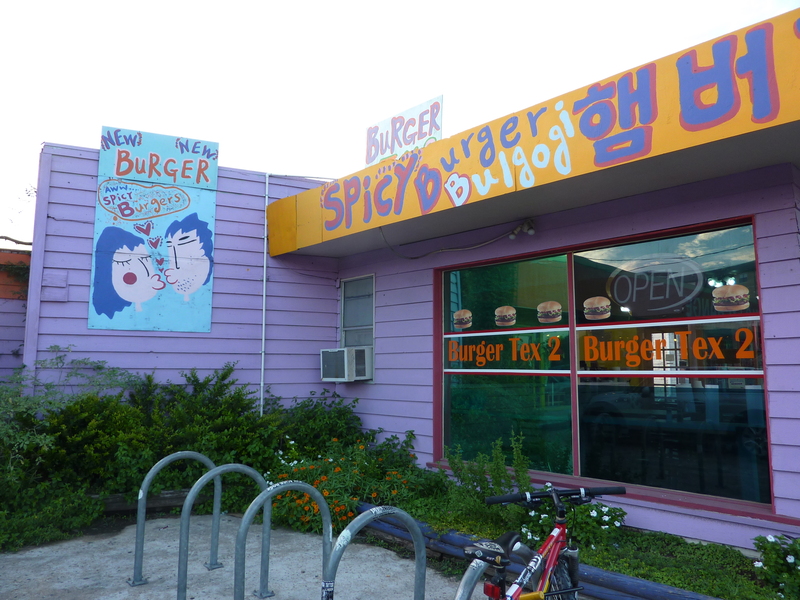 One building that has always struck me has been Burger Tex II. It’s a brightly colored purple building between Buffalo Exchange and Antone’s Records with pictures and hangul written all over it. It claims to have a bulgogi burger that is absolutely delicious and it has actually been featured in Texas Monthly as one of the best burger places in Texas. I’ve been dying for burgers lately and finally my friend and I took the plunge and had dinner there. Burger Tex II is a short walk from campus and there are a lot of stores to visit along the way (I’m looking at you Toy Joy). It’s quite obvious where the building is since it’s next to two very popular stores by campus and is clearly purple and covered in hangul. We tried glancing in through the windows, but all we could see were shadowy tables sitting lonely inside. After taking a few pictures, we finally entered the restaurant. Should we try it guys? We were greeted by two main rooms that compose the dining area and a large counter area that is both the register and drink station. The kitchen sits quietly in the back. The people who run the restaurant are very nice, with the lady at the cash register welcoming us as we approached the register. After a few minutes of looking at the menu, we finally figured out what we wanted. I came specifically to try the bulgogi burger since that has been intriguing me since I first heard it. My friend was dying for a bacon burger so that is what she got. We each got the combo so we could get a drink and fries. After picking our spot, we looked around the place. In the back is a friendly wooden room that is perfect for watching TV with a clear LCD up in the corner. In the front, windows are on every wall and small counter space lines them, allowing you to eat and watch passersby (while they can kind of see you). At night, the windows are surprisingly bright enough to reflect yourself clearly as you eat. If you worry about dieting, you’ll definitely have a lot of self-awareness while you eat in the front. Cute little signs are all around the restaurant letting you know about self-refills and kindly suggesting what to put on a bulgogi burger. At the front, there is a table set up for water and tea along with any additives you could desire like lemon slices, spoons, and sugar packets. Our food was kindly brought to us and we proceeded to the toppings bar. The serving and adding of toppings is reminiscent of Fuddrucker’s, but I’ll say that this place is better in that the toppings were very fresh. The lettuce was in big leafy pieces and the tomatoes were gleaming and red. There were many different kinds of sauces, but I specifically tried the homemade sauce that tastes quite similar to 1000 island dressing. 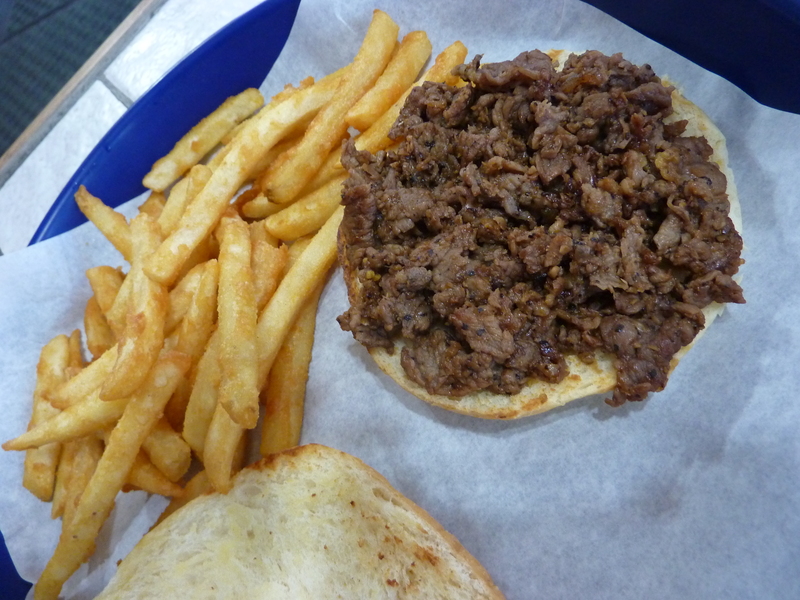 However, it tasted perfectly with my bulgogi burger. I added tomatoes, lettuce, and onions to my burger since I do like these toppings. My friend added lettuce onto her burger and ketchup for her fries. 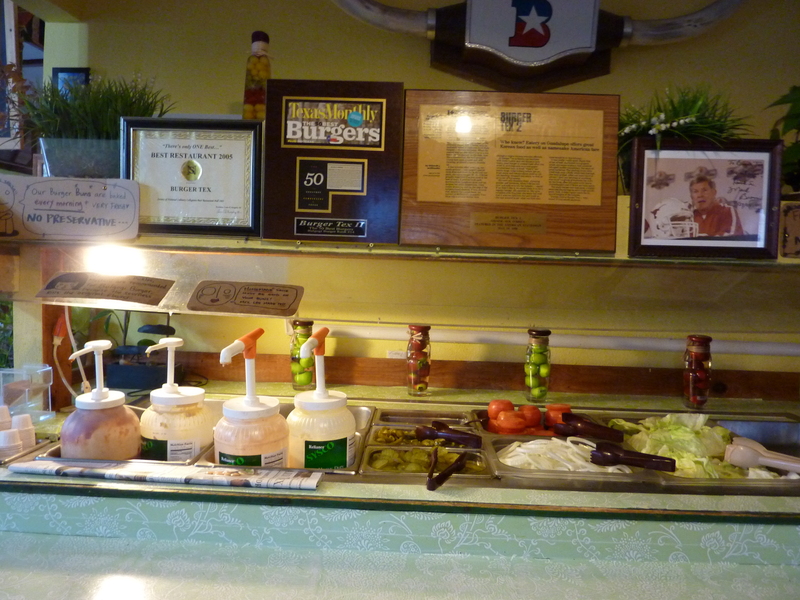 Overall, Burger Tex II is a quaint place on the Drag near campus that has tasty burgers you don’t have to worry about getting Mad Cow Disease from. 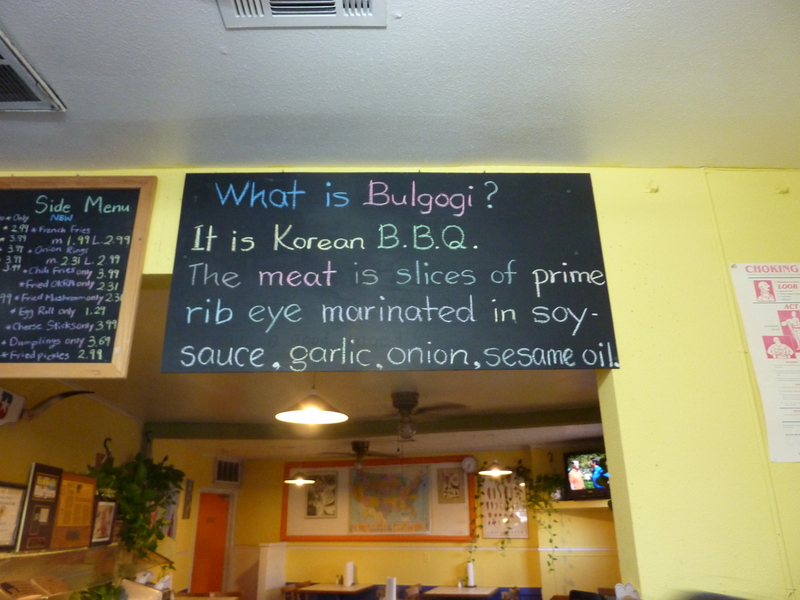 There are unique creations like the bulgogi burger as well as classic standards like hamburgers and grilled chicken sandwiches. 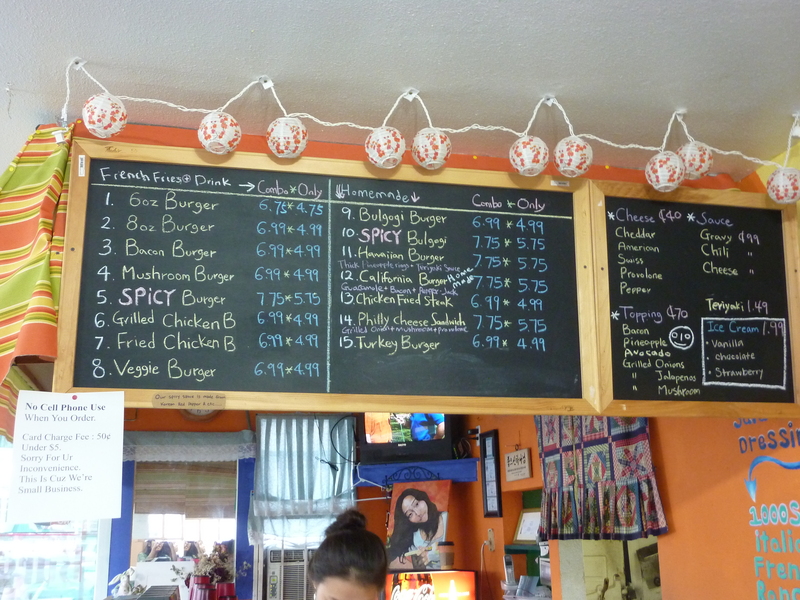 There are also other menu items like organic salads and kids meals. The place is a little small for a big group, but it slowly gets busier with time and definitely worth the walk if you are dying for a good burger. Even more importantly, you should come here if you’re dying for some good fries. I am definitely coming back. 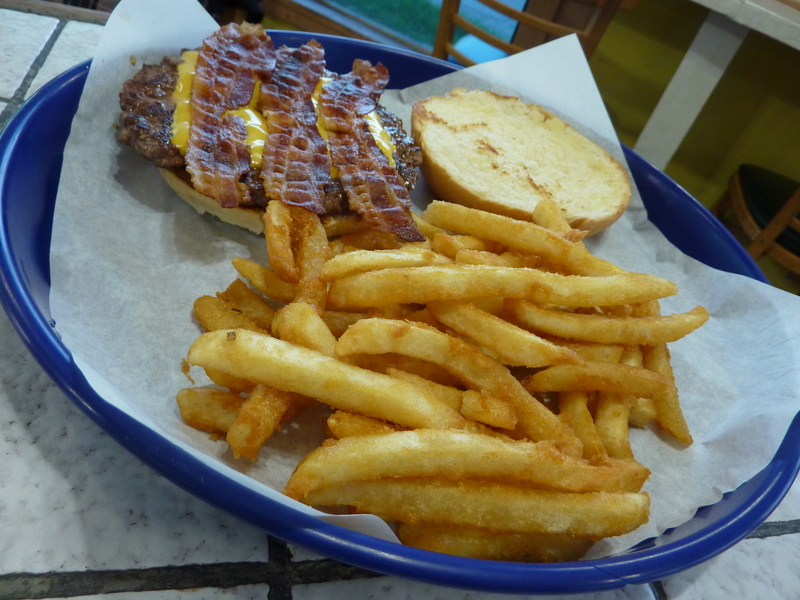 That reporter is so right, come try out Burger Tex II! 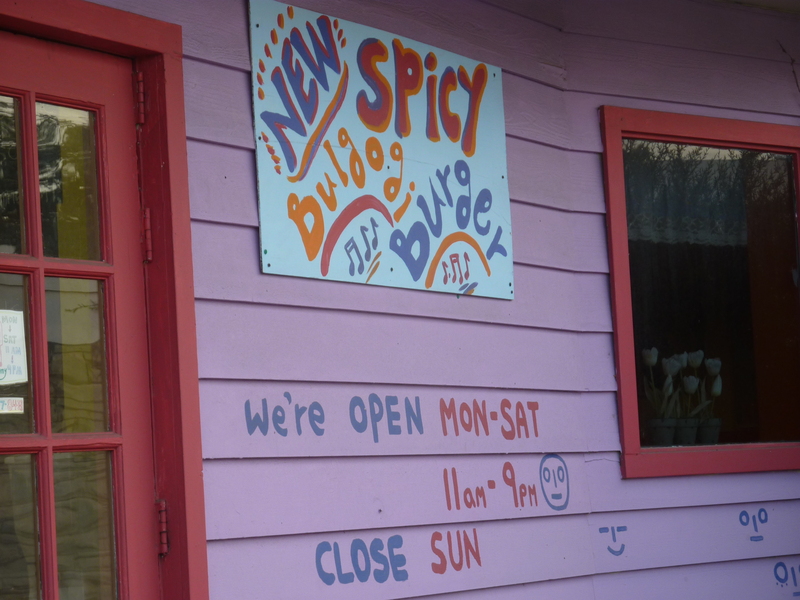 Rating: 😛 😛 😛 😛 1/2, if not for being in Texas Monthly as a great place for burgers, then you should definitely come here just for the fries and friendly service.